I'm stressed out. Super stressed. Stressed to the max. Stress can take a serious toll on your energy, and while I am a big fan of the morning and afternoon cup of coffee, it is nice to change the routine. A delicious alternative is to take a mug of black tea and add a spoonful (or two) of this chai concentrate. I made a jar of regular chai and a jar of chocolate chai concentrate. Both are equally good. If you are still craving coffee, make yourself a latte and add a spoonful of this chai concentrate. It is comforting and guaranteed to de-stress you, at least a little bit. 1. Empty condensed milk into a jar or plastic container with tight-fitting lid. Stir in the sugar, cardamom, cinnamon, cloves and nutmeg. Store in refrigerator. Yum and a magical way to take 10 for you. Sounds fabulous. I've seen recipes for powdered chai mixes but not a liquid. 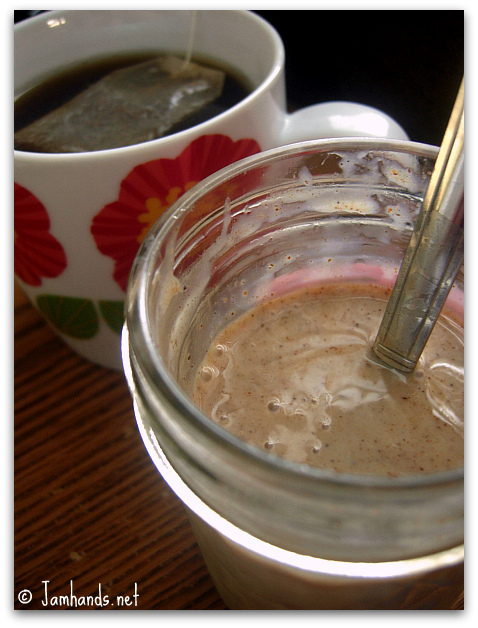 Love chai, must make this soon! @ Elizabeth - I totally agree. @ Nickeletta - In the past I had only made powdered chai's before, but this is a tasty alternative. It isn't as sweet as the powdered mixes I've had, which was surprising to me. I love chai! I would love it if you would link up to my Tuesday Confessional link party going on now: http://www.craftyconfessions.com/2011/07/tuesday-confessional-link-up-2.html. I hope to see you soon! This just sound fantastic. I cannot wait to try this out. I(Heather) am a huge fan of Chai, glad I found this... I have never had a chocolate chai. It sounds wonderful! I came over from 'This Chick Cooks' and have to say this looks amazing. I have never thought about adding a concentrate to some black tea and most definitely will be trying this. I'm always looking for easy ways to de-stress and this sounds perfect. I also snagged your little bit about the no reply commenter, I hope that's okay. Nothing drives me more crazy than that lol. 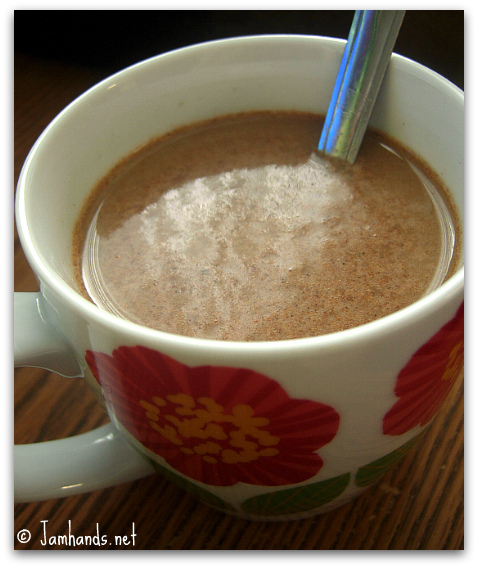 Just wanted to let you know that I featured your yummy chai! :) Thanks for linking up! Hi, I just wanted to thank you for visiting Cast Party Wednesday and I hope you join me again tomorrow and share more of your great recipes! hey first time here ! and simpley loved the space :-) happy to follow you ! Do drop in when you can ! This is perfect. I had just been looking for a liquid chai mix that I could add to tea, because all the dry mixes I could find included non-dairy powdered creamer which I'm trying to avoid. I had been thinking of using evaporated milk with the spices though since I prefer to add the sugar separately, only I couldn't figure out how much of the ingredients to add. You wouldn't happen to have tried using evaporated milk instead, would you?